I had my first experience of a refugee camp on Wednesday, when I visited Campus in Camps, which is an innovative new project underway at Dheisheh Refugee Camp outside Jerusalem. The refugee camps were set up after the declaration of the state of Israel and ensuing war in 1948 to provide ‘temporary’ accommodation for the suddenly-homeless Arabs who had fled their homes in what is now known as Israel. Campus in Camps works with twelve young people (the age range is around 20 to 35) who come from five camps in the southern West Bank and were selected based on their connectedness and active involvement within their camp communities. These participants bring local expertise and networks, and through Campus in Camps are given some training and exposure to people with various spatial design skills, both staff and invited others. They will eventually identify and implement some form of physical and social improvement or change within their camps. One participant, for example, wishes to celebrate an old Roman pool within his camp, which used to supply drinking water to Jerusalem but now lies neglected and filled with rubbish. At the moment he is thinking of doing this with something as simple as a clean-up and the installation of a floodlight which would illuminate it at night – a small action which could have the potential to transform it from a dumping ground to an asset the camp can be proud of. These refugee camps have been around for so long that it’s really quite hard for someone like me coming from outside to tell that it is a refugee camp. It feels like a slightly crowded and rundown area of any town, with narrow streets, a few shops, a bustle of life, and plenty of building work going on. In terms of overcrowding I’m told this is nothing compared to some of the refugee camps in bordering countries such as Lebanon and Syria. 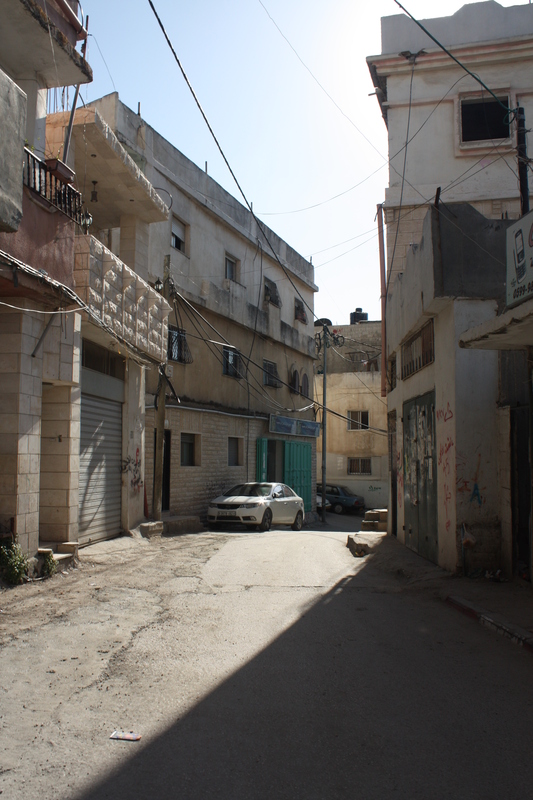 Residents of the camp live there in a strange sense of permanent temporariness. 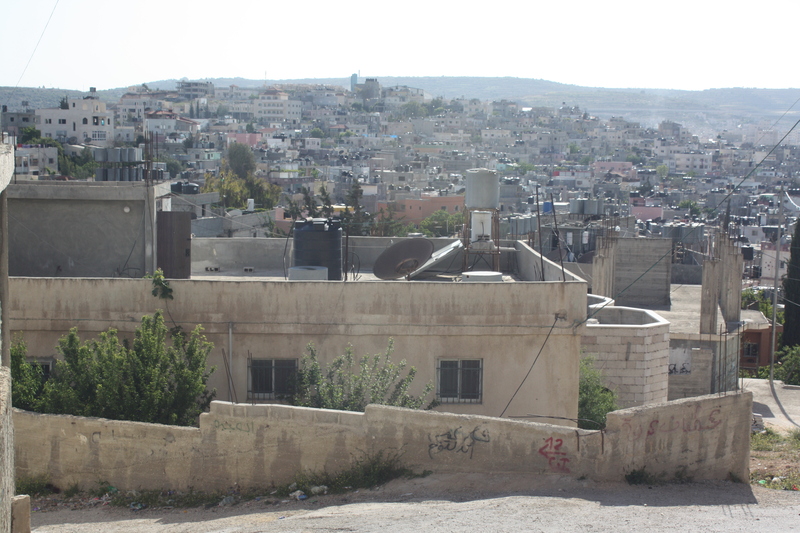 A camp is by definition a temporary thing, but as the Israeli state is almost certainly here to stay, and the occupation goes on, the residents have been here for decades and that doesn’t look set to change. And so tents, which were replaced with shacks, have now been replaced with buildings. And a shortage of space to expand beyond the boundaries of the camp means that the buildings are expanding upwards instead, adding second and third stories. I’m told some sprawl has also occurred, in the establishment of neighbouring ‘city’, Doha, where I’m told some camp refugees have migrated in an attempt to escape the stigma and feelings of impermanence that come with living in a camp. I have no idea what the future holds for the residents of these camps, and more tragically, neither do they. I do believe, though, that the work Campus in Camps are doing, is really valuable and important. They are giving camp residents a platform and a set of tools with which they can identify and promote their own alternative narratives about what the lived experiences of refugee camps are, and to positively alter the environment around them. Who could be better placed than the residents themselves to do that? !